You are here: Home / Apologetics / AR #160 – What’s Up With Mormonism? You gotta hear this wonderful and instructive episode of Apologia Radio! 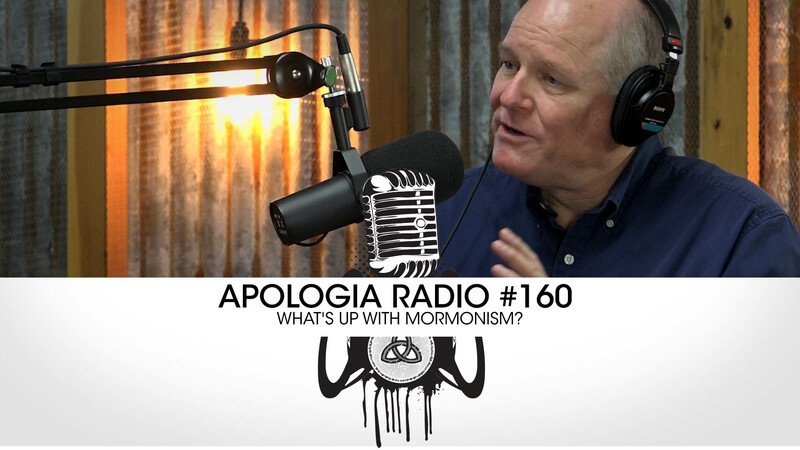 We were blessed beyond measure to have Bill McKeever and Eric Johnson from Mormon Research Ministry join us in-studio for Apologia TV and the After-show. We’re right in the middle of our annual outreach at the Mormon Temple in Mesa so evangelism to the Mormon community is right at the center of our minds at the moment. Bill McKeever has been instrumental in helping Jeff getting the materials and information necessary to effectively minister to the Mormon community. You will understand why after hearing what he has to say. We also announce something very big on this episode. This is something you can all participate in and fruit of your participation would be glorious! As always, we are grateful for your love, prayers, and support. Don’t forget to sign-up for All Access at apologiaradio.com. You get all the additional content, Apologia Academy, and you partner with Apologia Church in all the ministry that we are doing. The LDS Church is no more better, reputable, or logical than whatever flavor of Christianity Apologia Radio espouses. Why is that so difficult to see? From my experience all members of a religion have problems seeing flaws in their myths. But hey, it’s a business, right? I Corinthians 1:18-25 For the word of the cross is folly to those who are perishing, but to us who are being saved it is the power of God. For it is written, “I will destroy the wisdom of the wise, and the discernment of the discerning I will thwart.” Where is the one who is wise? Where is the scribe? Where is the debater of this age? Has not God made foolish the wisdom of the world? For since, in the wisdom of God, the world did not know God through wisdom, it pleased God through the folly of what we preach to save those who believe. For Jews demand signs and Greeks seek wisdom, but we preach Christ crucified, a stumbling block to Jews and folly to Gentiles, but to those who are called, both Jews and Greeks, Christ the power of God and the wisdom of God. For the foolishness of God is wiser than men, and the weakness of God is stronger than men.